Multicolour Anita print bikini from Le Sirenuse. Swimwear must be tried on over your own garments. Black ruched Lua swimsuit from Brigitte featuring a v-neck, ruched details, a metallic buckle and a lining. This item is true to fit. Please note this item has a Brazilian cut. 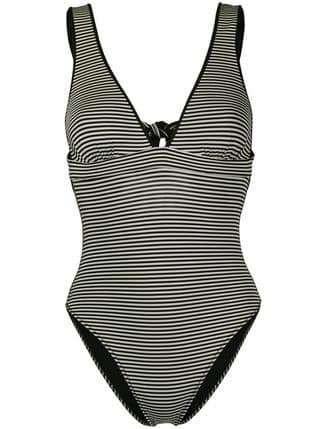 Black and white striped V-neck swimsuit from marysia. Swimwear must be tried on over your own garments. 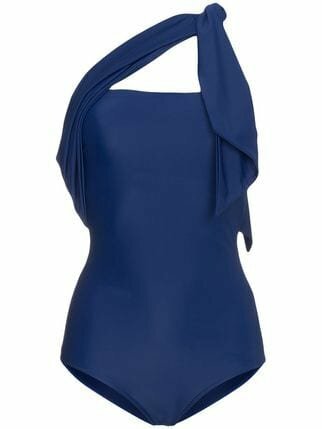 Blue Spandex/Elastane Fontanette Swimsuit from Paper London. 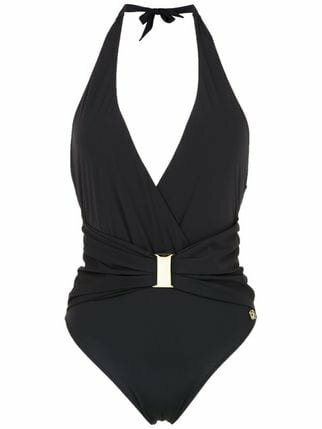 Black panelled swimsuit from Lygia & Nanny featuring cut out details. Swimwear must be tried on over your own garments. This item fits large. Please note this item has a Brazilian cut. 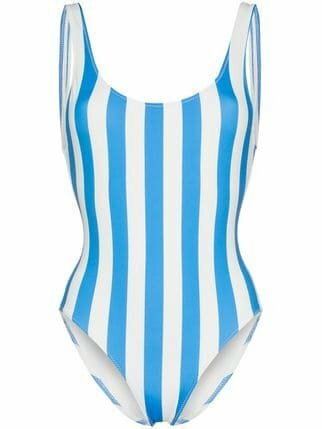 Blue and white The Anne-Marie striped swimsuit from Solid and Striped featuring a scoop neck, a sleeveless design and a low back. Swimwear must be tried on over your own garments. Orange and pink printed swimsuit from Lygia & Nanny featuring a v-neck, an all-over print and a twisted neck. This item fits large. Please note this item has a Brazilian cut. White Elastane Penton Swimsuit from P.E Nation. Though winter is approaching, it's never the wrong time to buy a swimsuit. 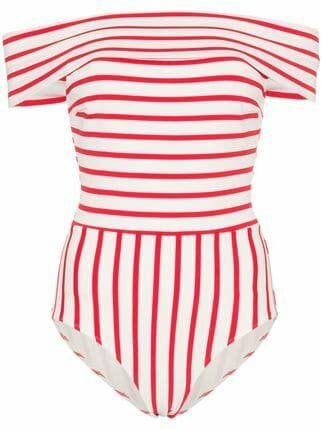 This stunning white one piece has a a skinny fit and a bardot neckline, and it carries an allover red striped pattern. 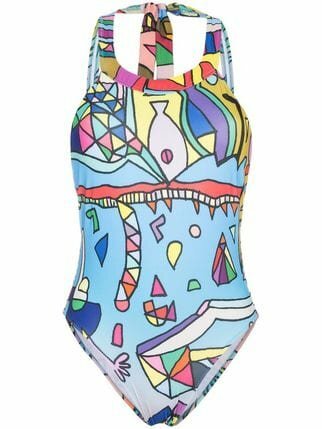 Multicoloured Planet Earth print high neck swimsuit from Ellie Rassia. Swimwear must be tried on over your own garments. 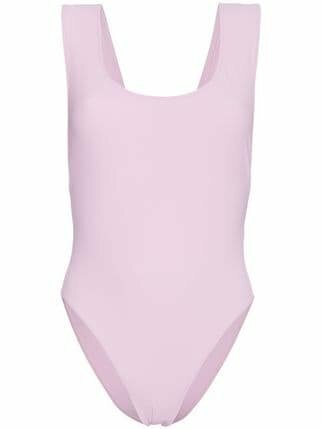 Pink Pink Jireh cutout swimsuit from Araks featuring a scoop neck and a racerback style. Swimwear must be tried on over your own garments. 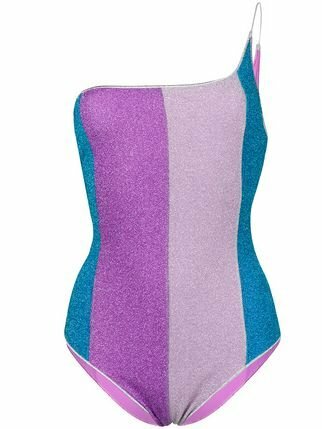 Multicolour striped one shoulder swimsuit from Oseree. Swimwear must be tried on over your own garments.